It’s Compensation Clinic Sunday and we want to showcase a matter that is a mixture between compensation and actual correction of relevant bonus points. 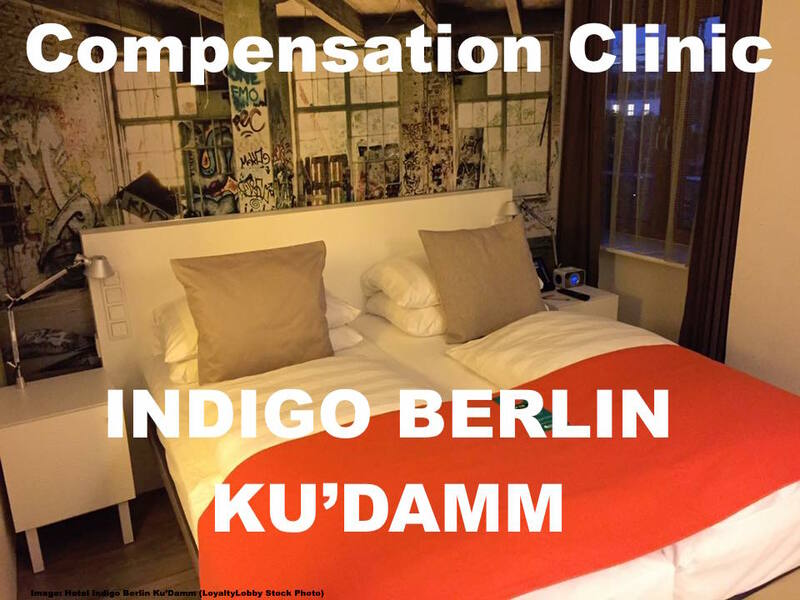 Two weeks ago I stayed at the Indigo Berlin with the purpose of fulfilling my IHG Accelerate promotion only to find that their restaurant was closed that evening and I planned to do the required spend there. 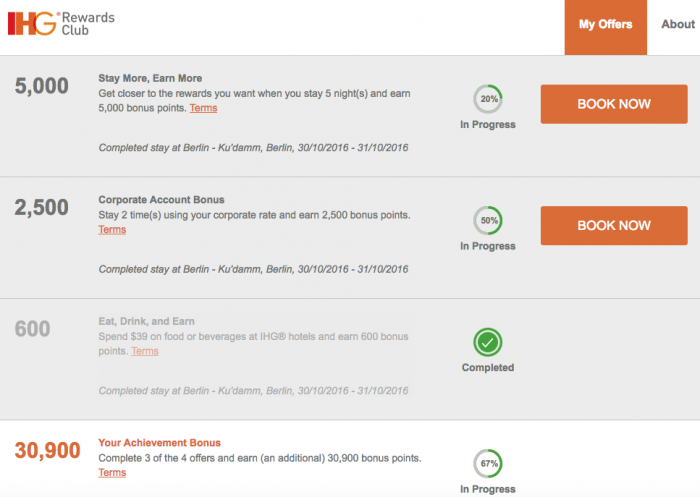 IHG’s Accelerate Promotions target members with individual tasks based on the account history and other factors not really known. Usually accounts with the least activity get the best offers, likely to entice customers to come back and try IHG properties again. So I found my IHG account which I abandoned for a bit over a year to have an interesting offer for 35,000 IHG points after only 2 stays and a one time 39$ spend on F&B at the restaurant outlets of the hotels. The first stay I did at the Holiday Inn Express not to far from the Indigo and obviously at a HIX you have a hard time spending 35 EUR on Food with just one person. I checked before I reserved the Indigo that they have a restaurant and it looked decent. Spending some money there wouldn’t have been any issue (they had some nice pork filet medallions advertised in the elevator for 22,50 EUR) however when I arrived at the hotel I was in for a surprise: The restaurant is closed on Sundays! This put my entire plan in jeopardy because to get the Dining Spend done I would have to book a third stay at another IHG hotel within the promotional period or just walk away from this reservation. I wasn’t in the mood and since the staff at the Indigo was really nice I thought lets work with management the next day. I ended up paying for their overpriced breakfast (19 EUR for that little buffet… really?) and agreed with management to adjust the price to the required 39$ (40 EUR in the end) and to deduct the difference from the room charge. They were nice enough to be willing and work with me on this issue. Another thing was that upon making the reservation it’s advertised that you receive 1000 IHG points when ordering any full priced menu item. No minimum spend or dining time (breakfast/lunch/dinner) was specified. The points didn’t post at first and upon pressing them, the hotel replied this would only apply to dinner not to breakfast but they would post the 1000 IHG Rewards points as the T&C aren’t clear. The Indigo Berlin Ku’Damm is a very nice hotel and I would absolutely stay there again. The restaurant issue was unfortunate because it was a required part of my accelerate promo and also I arrived pretty late and it forced me to go out for dinner on an evening where it was cold, wet and windy (in other words, totally normal German autumn weather). At least the hotel is very central so you can reach great restaurants within a 10 min walk. The customer friendly solution of being able to play with the numbers a bit were the easiest thing to do. As I mentioned, I could have walked and booked another hotel or if management wouldn’t have been flexible probably would have made the case to waive the nights charge. This solution was the best for all involved, I gave the hotel extra revenue for the breakfast (bad value really but it doesn’t matter in this case) and in total they didn’t lose any money on the rate either. Win win! Next articleThe Winner Of The 30,000 SPG Starpoints Giveaway Is?